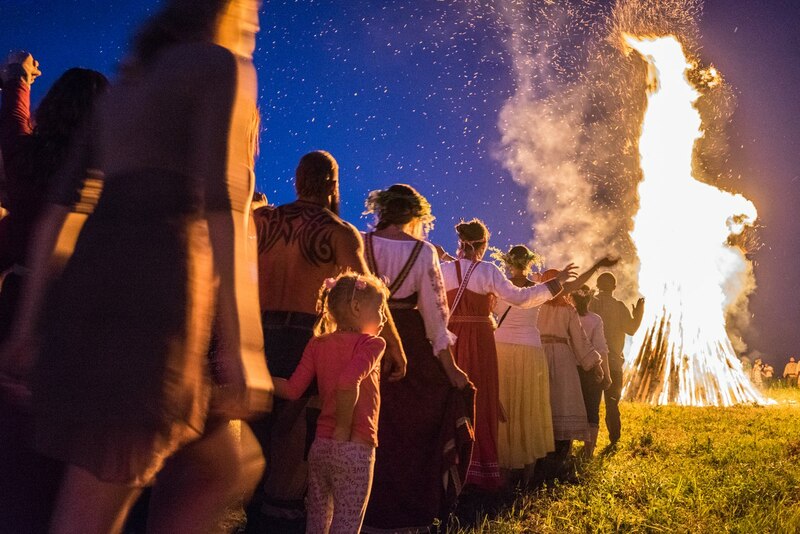 Peasants believed that, on Ivan Kupala Night (the shortest night of the year) they should not sleep, because all the evil spirits were awakened – witches, werewolves, mermaids, snakes, warlocks, mermen and woodland spirits. 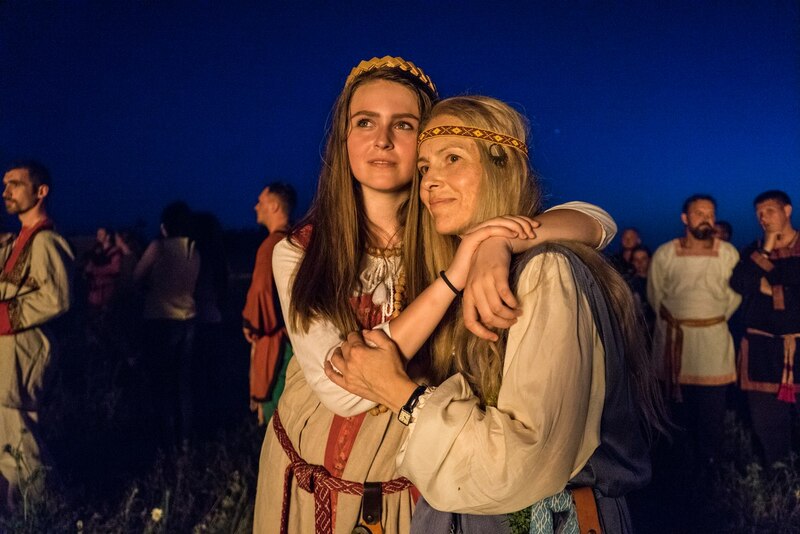 Photos capturing large pagan celebration held last week in Kaluga. 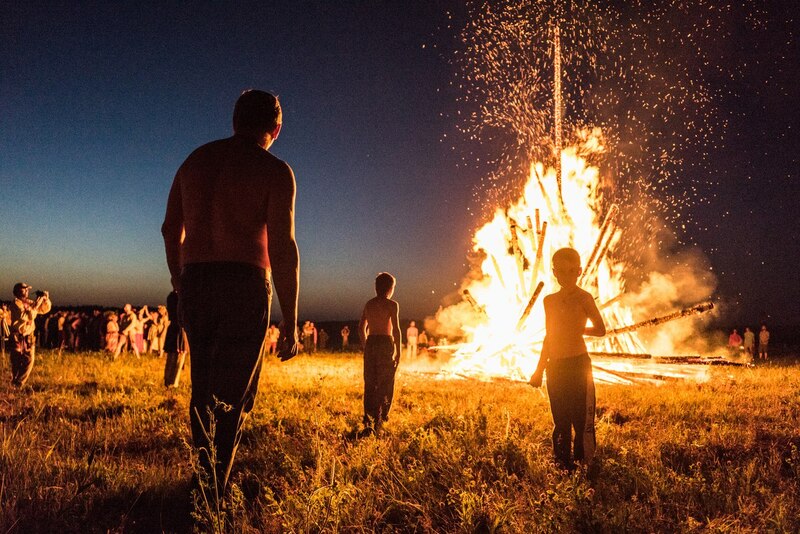 Ivan Kupala is a traditional Slavic holiday. 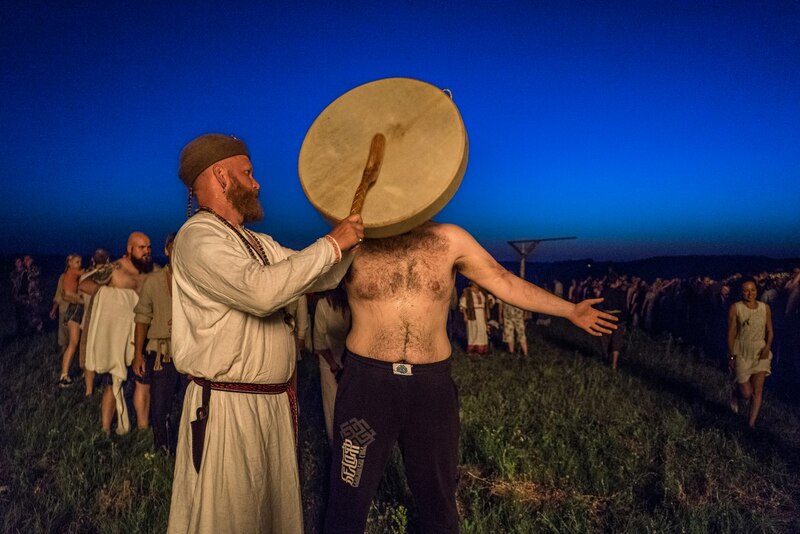 Currently in Russia there are two ways to celebrate it: one is held by unofficial pagan religious groups at the end of June when nights are shortest, while the other is held is July 6-7 according to the Julian or Old Style calendar. This latter celebration is sanctioned by the Russian Orthodox Church. On this holiday, as people say, water can become a “friend” to fire, and this union is supposed to be a natural power. 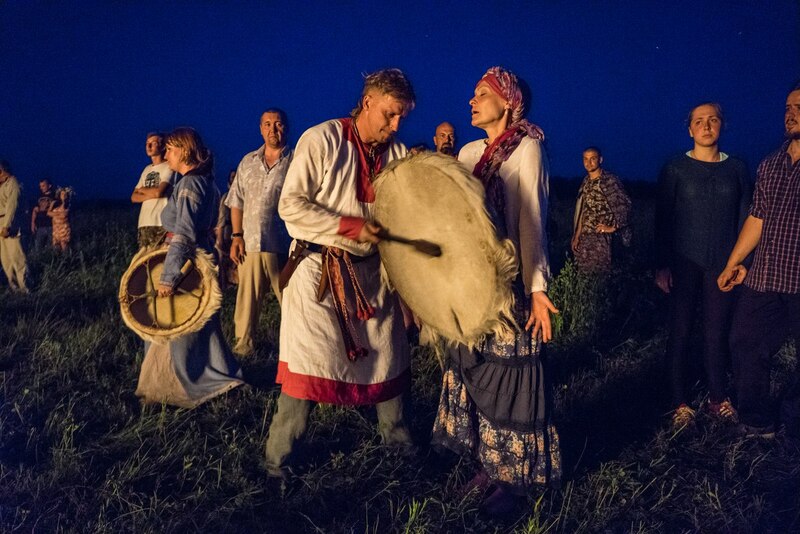 The main feature of Ivan Kupala Night was the cleansing bonfire. People used to dance around bonfires and jump over them: The one who jumped the highest bonfire was considered to be the happiest person. In some regions, people led their cattle through these bonfires to protect them from diseases. Mothers burned the clothes of their ill children, to burn the illnesses away as well. 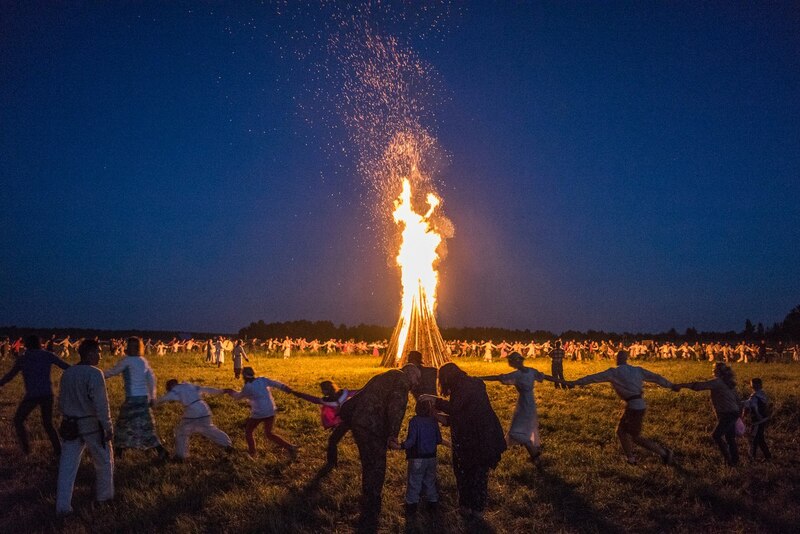 Both summer solstices include numerous Slavic rituals uniting fire and water. 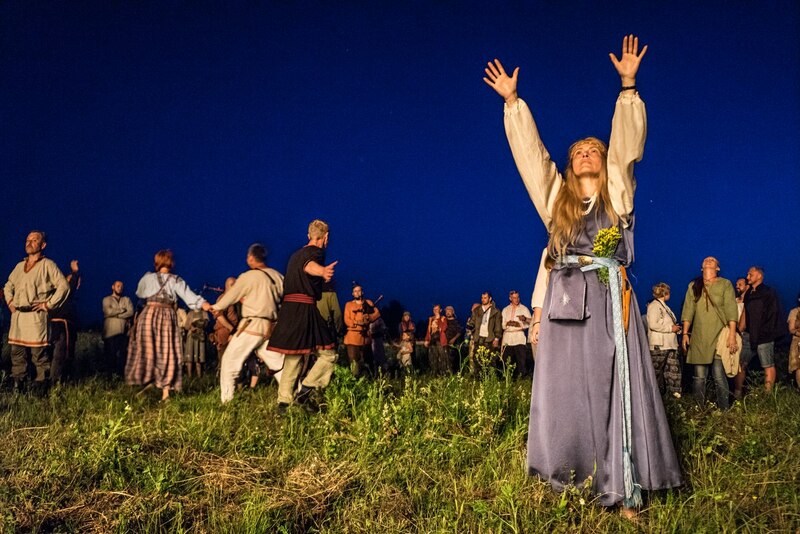 It is celebrated in Russia, Belarus, Poland, Lithuania, Latvia and Ukraine during days of the summer solstice. In the floral world, fern was connected to legends about treasure. Thanks to the fern flowers, which blossom for only several moments at midnight on Ivan Kupala Day, all the buried treasures could be seen, no matter how deep they were in the ground. 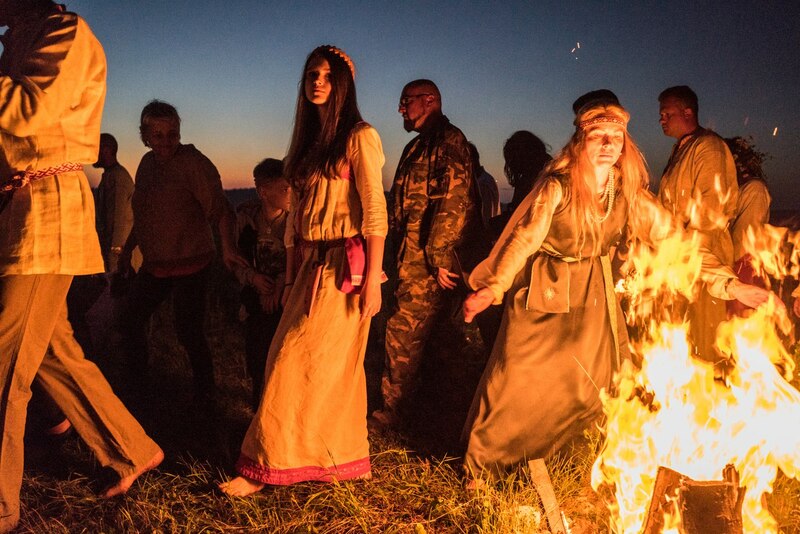 In pre-Revolutionary Russia, Ivan Kupala Day was the most important holiday of the year. Practically everyone took part in this feast. It was also essential for each person to be an active participant in all the ceremonies and rites.